My wife has been after since way before we were married to get new glasses so I finally broke down and set out to find a new pair. 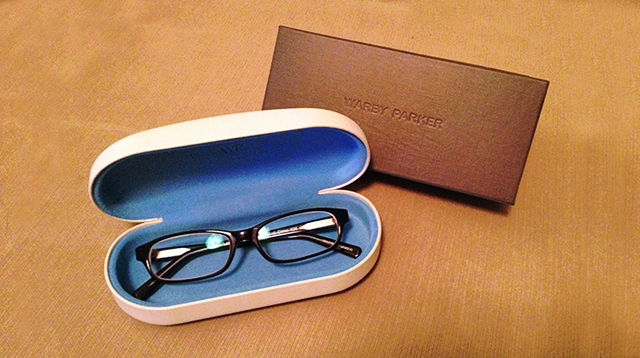 I had heard about Warby Parker somewhere so I thought I would check them out. They didn’t disappoint. They have this awesome try before you buy program that let me pick five different frames that I like and have them sent to me for an at home try-on. Oh, and that was free. I picked out my five pair and within a day or two I was trying out my picks. They’re were several awesome frames in my set but the ones that won my heart were the Langston by Warby Parker. @cwhitmore_mdg Thanks for spreading the word! So glad you found the perfect pair. Thanks! It was actually taken with my iPhone. Was kinda surprised how it turned out to be honest.